In December 2012, after GameSpy helped me to repair the bugged Leaderboard, I started to screenshot leader boards every month. 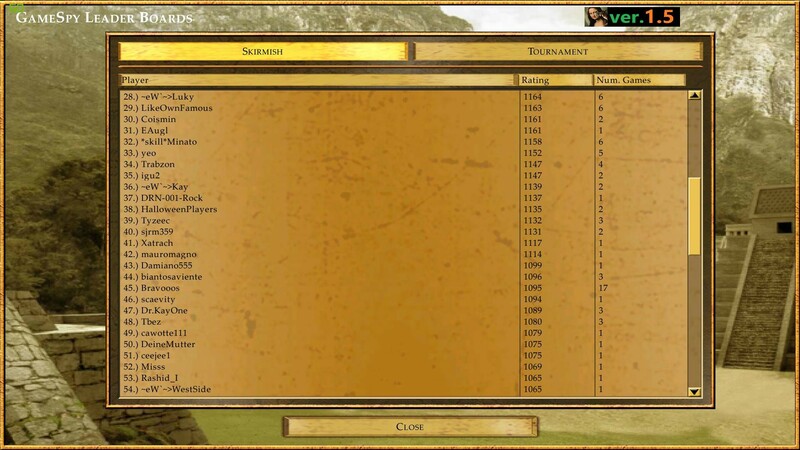 Now, after 3 years, when we have the new rating system and leader boards thanks to Unofficial Patch 1.5, I'll again be posting screenshots every month. Please note, that with the Unofficial Patch 1.5, the Skirmish board is displayed as first (on the left), and the Tournament board has been moved on the right. 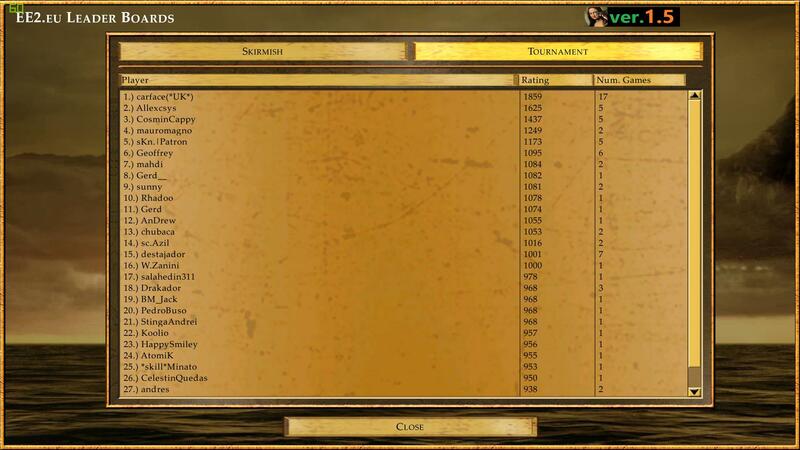 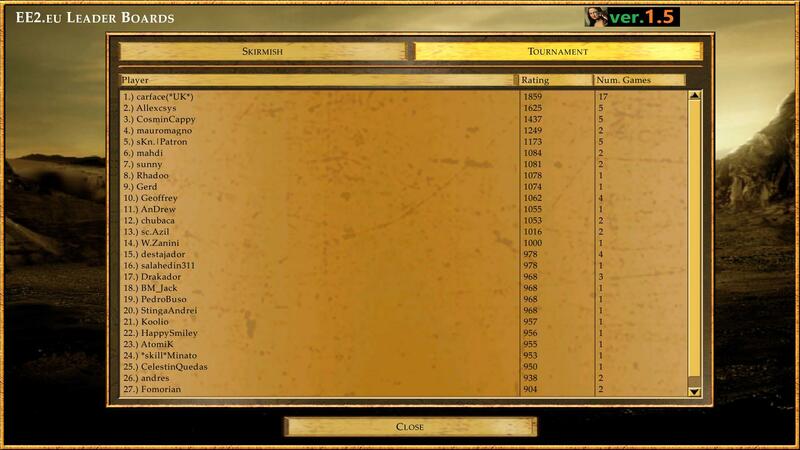 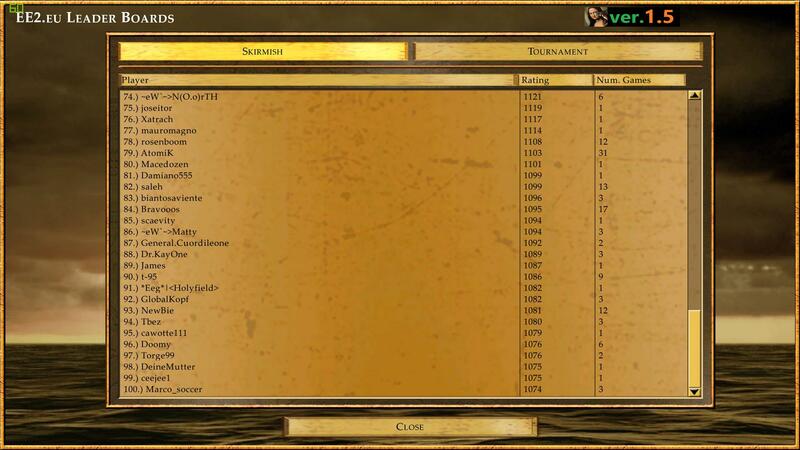 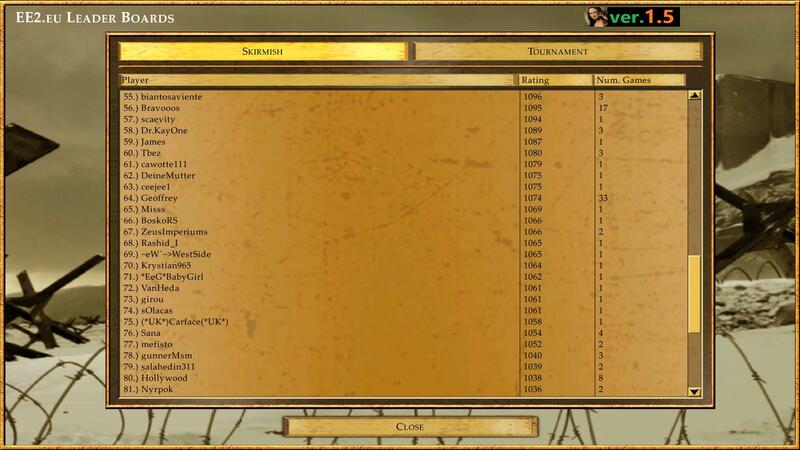 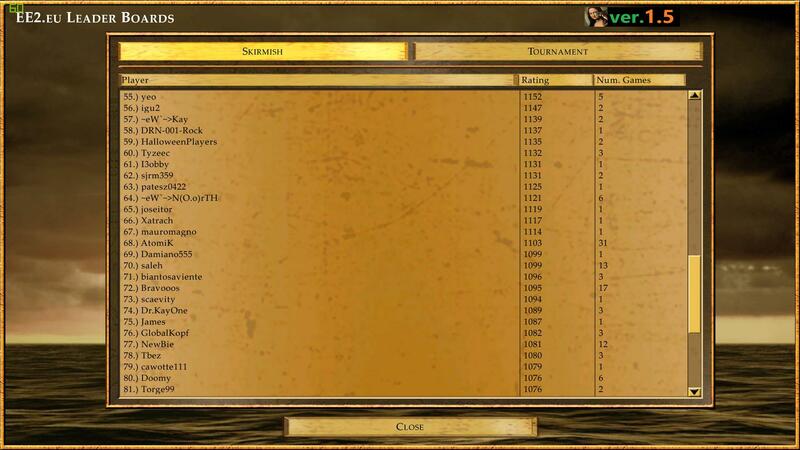 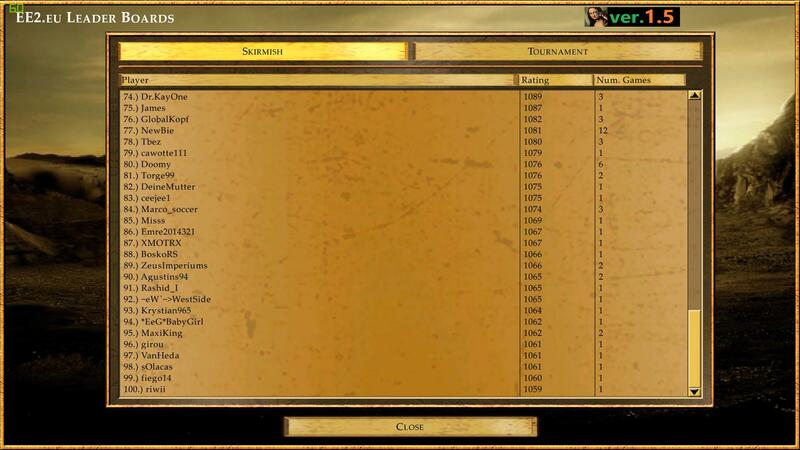 Also Empire Earth II and Empire Earth II The Art of Supremacy use the same leader boards now. 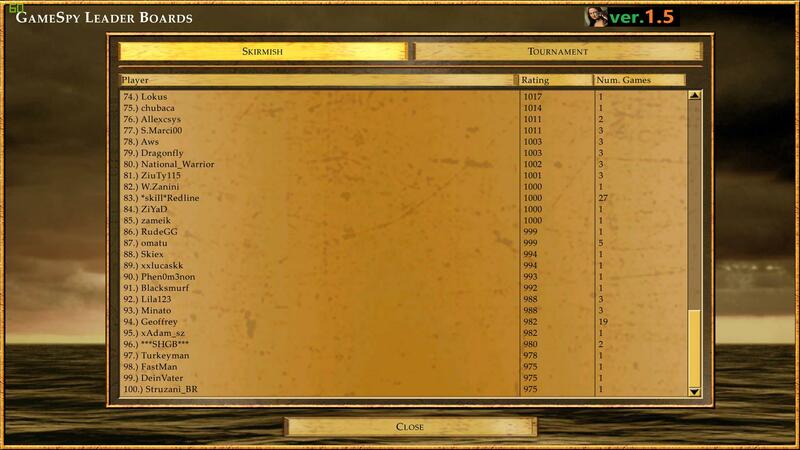 The Leaderboards are snapshotted and archived everyday around 00:00. Unfortunately, we don't have the snapshots from before 20.04.2017, so 20.04.2017 is the starting day in the EE2.eu Leaderboards History.